Dr. Yang Liu has extensive experience in technology innovation and commercialization process, and he was awarded as an “Entrepreneurial faculty for the 21st Century” fellow at 2008. 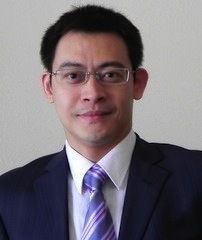 Before the Piezonix venture, Dr. Yang Liu founded RippleSense Inc in 2011, where he held a variety of responsibilities including business strategy and development, product design, customer acquisition, and Marketing. He was a research fellow at the University of Michigan from 2010 to 2011, where he was responsible for conducting research in self-sensing materials and MEMS sensors for a $15 million NIST project. He is also the author of 29 peer-reviewed academic journal and proceeding papers. 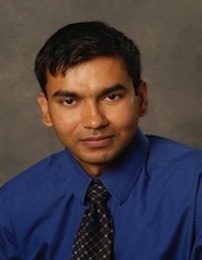 Dr. Shantanu Chakrabartty is the inventor of the Self-Powered Piezo-floating-gate (PFG) Sensing technology. As a chief scientific officer for Piezonix, he is currently leading the R&D efforts to transition the existing “beta” versions of the sensor technology into commercially deployable devices. Currently, as an Associate Professor, Department of Electrical and Computer Engineering at Michigan State University (MSU), he is a world renowned expert in floating-gate circuits and systems for energy scavenging and self-powering applications. He is the recipient of the prestigious CAREER award from the National Science Foundation and in 2012, he received the innovator of the year award from MSU Technologies. Dr. Nizar Lajnef, currently an assistant professor in the department of Civil Engineering and the department of Electrical and Computer Engineering at Michigan State University (MSU), is an expert in the areas of multifunctional active materials, and damage detection algorithms with application to civil, mechanical and biomechanical structures. 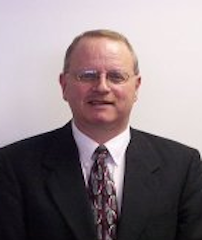 He is also the co-inventor of the PFG strain sensing module. As a chief technology officer for Piezonix, he is currently leading the R&D efforts on the optimization of the interaction between the monitored structures and the energy harvesting transducers for large scale deployment, and also the integration of the sensing data into decision support tools for infrastructure management systems. Jeffery Banker is an experienced, serial entrepreneur with the drive & skill-set for identifying high-growth market opportunities and building growth companies to exploit those opportunities. Mr. Banker has 29 years of leadership experience in business and technology management including roles as CEO and founder of venture-backed start-up and early stage growth companies. He has authored successful business plans resulting in over $22 million in seed, venture, and debt capital raised for such growth entities. For these firms, he provides executive leadership in growth planning, commercialization & markets, capitalization, and strategic partnerships.